If you are a keyboard player, you’re going to love this. A 2 1/2 octave keyboard that does a lot more than you’re old stand up piano ever did. 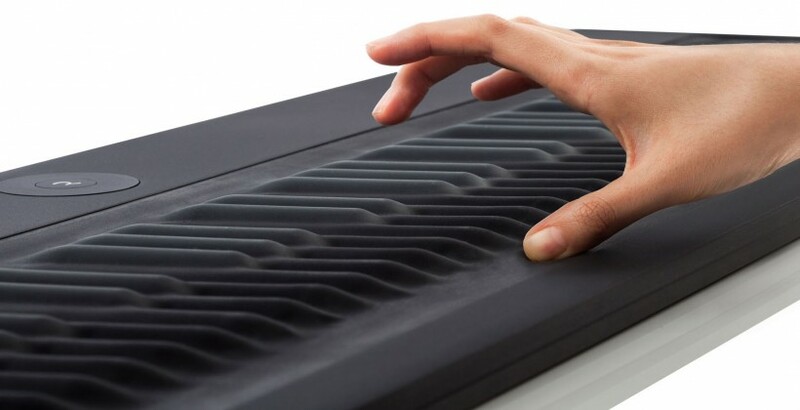 The Roli Seaboard keyboard allows you to bend, vibrato and even change instrument by how you touch the keys. The tactile unit can connect to iOS, Mac, Windows through an app. The keyboard reacts by how you touch the keys. Start Leggero then crescendo to Maestoso. You can even Glissando to a new note by sliding the finger across the board. The Roli Seaboard is more than just the physical keyboard. The free app on iOS allows you to do the same things on the go. If you have an iPhone 6s (Plus) you can utilize the touch sensitivity to match what you would do on the unit. Roli Seaboard Rise is available for around $800. For musicians, you might find a whole new way to play and make fresh music for the next generation. Go to Roli.com for more information.